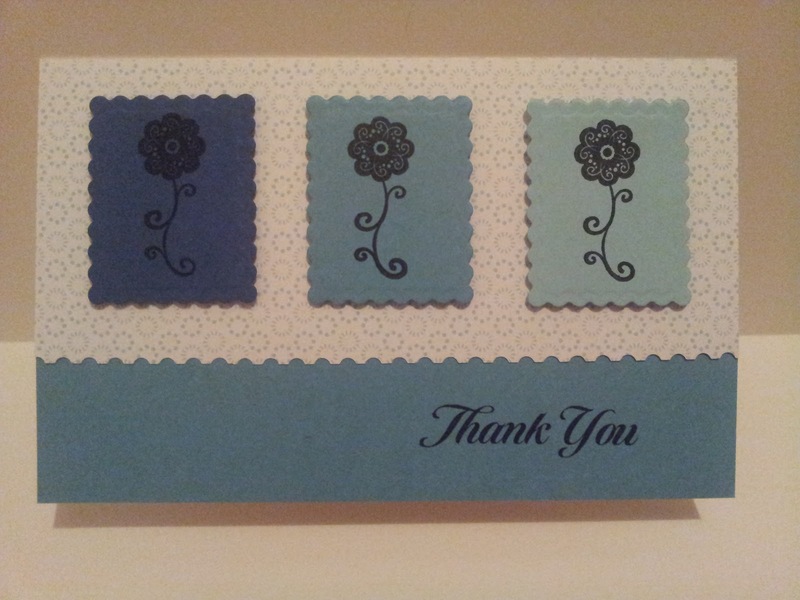 My Mother-in-law loves making cards. See her blog here. When I go to her house I like to get into her craft room and get creative. I'm still learning but here are some of the cards I have made so far. 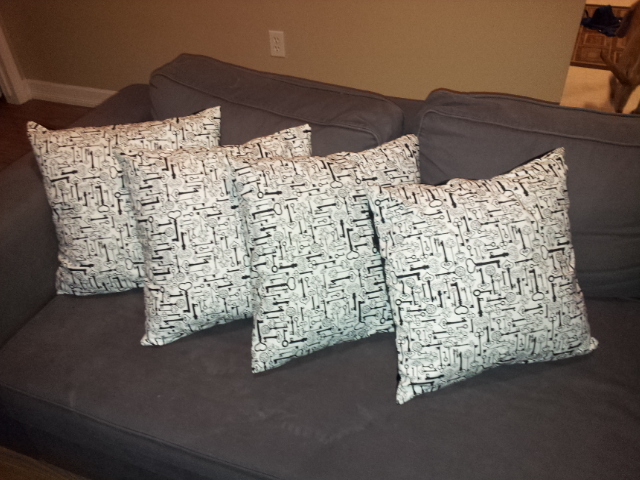 Recovering some throw pillows I have that didn't match. 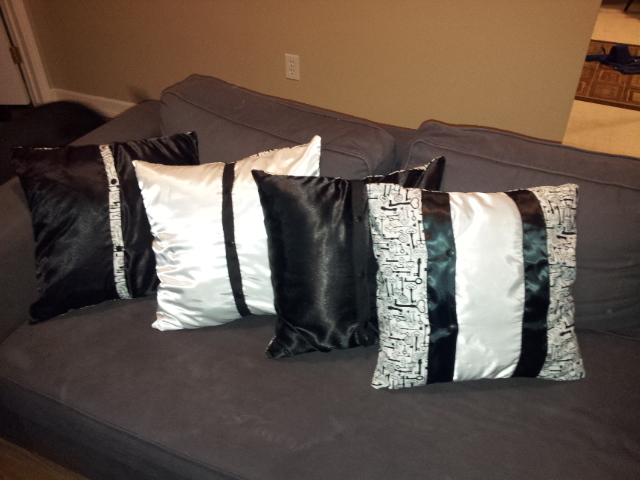 Here a sneak peek at the finished 4 pillows. Originally I came up with an idea to make a photo collage wall on one wall in my living room. I was thinking of ways that would make it unique so that it wasn't just frames. I have always had a bit of a fixation on old keys, and thought maybe I could find some skeleton keys to hang on the wall.